Create a living room you love with this contemporary and stylish sectional sofa. With an L shape, this sectional can comfortably seat four or five allowing you to make the most of your living room. 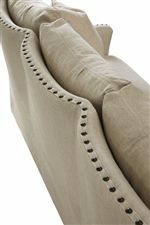 The back has fun curves and nailhead trim is used throughout to add a touch of drama. The Connor Traditional Sectional Sofa with Nail Head Trim by Universal at Zak's Home in the Tri-Cities, Johnson City, Tennessee area. Product availability may vary. Contact us for the most current availability on this product. 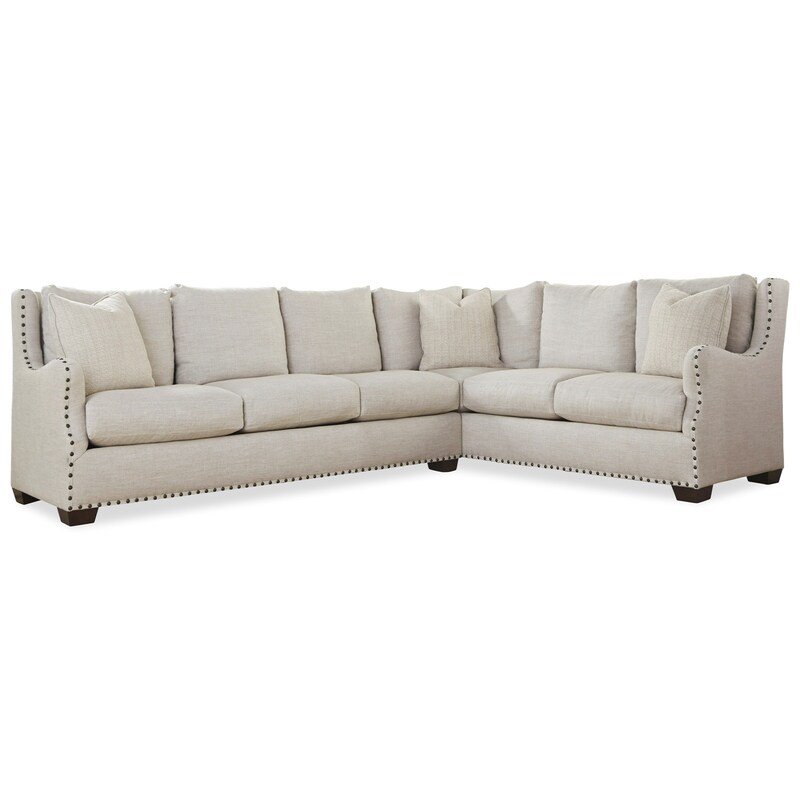 407513LAS-100 Connor Left Arm Facing Sofa 1 85" 38" 38"
407512RAC-100 Connor Right Arm Facing Corner 1 93" 38" 38"
This traditional collection brings you furniture for an elegant living room. Choose a larger sectional for your open concept living space or choose a chair and sofa set to compliment your room. Add comfortable seating and style with this collection. Pieces feature nail head trim, wing backs and gently sloping arms. The Connor collection is a great option if you are looking for Traditional furniture in the Tri-Cities, Johnson City, Tennessee area. Browse other items in the Connor collection from Zak's Home in the Tri-Cities, Johnson City, Tennessee area.